Wood is a great ally of cozy lighting. It is a material that is hard to mold, a challenge that the Ginger collection neatly resolves. The combination of sheets of wood and paper pressed together under high pressure achieves a laminate that appears almost entirely flat, which discreetly lights up spaces with indirect light. The Ginger collection has been expanded to include larger table and pendant versions, standing versions with moveable arms, an unobtrusive wall lamp and another wall version with movable arm. With an original system to orient and suspend it, in this floor version with movable arm the Ginger lampshade hangs from a structure that replaces the ceiling. 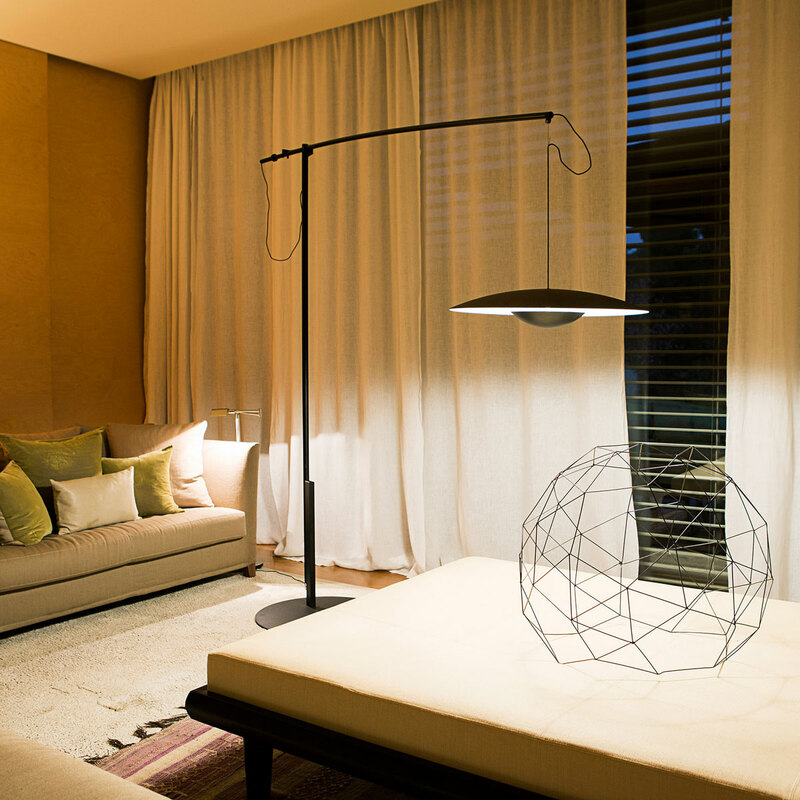 The system allows the lamp slide forward and backward and to be folded to either size. Also, the carbon fiber arm has two possible movements depending on the pre-established position of the pivot joint. It is altogether striking, spectacular yet contained. It comes in two sizes to fit the needs of different spaces.